Free Office 365 Manager license with every User/Group Manager purchase! EmpowerID is excited to announce starting Friday January 1, 2016 through Thursday March 31, 2016 we will be including our Office 365 Manager for free with every User Manager, Group Manager, or Exchange Manager purchase! To receive this special deal, contact EmpowerID Sales today. 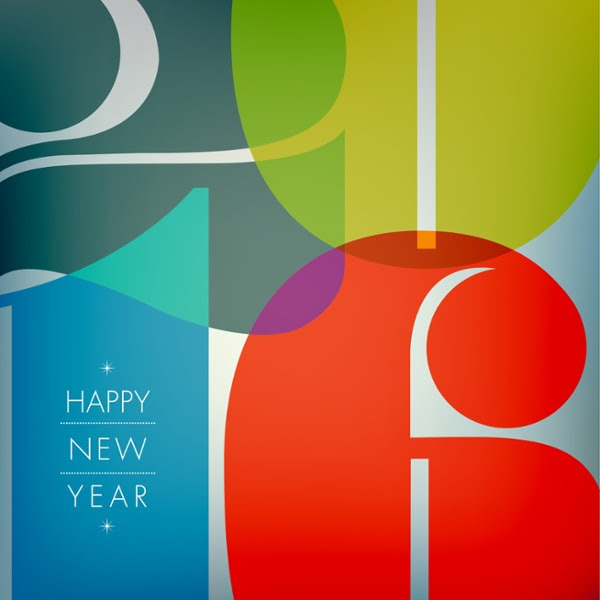 EmpowerID's New Year’s resolution is to help customers eliminate the user login hassle with SSO and unburden IT admins from repetitive Identity and Access administration tasks. The EmpowerID Office 365 Manager allows organizations to securely administrate all aspects of Microsoft's Office 365 environment. Not only can the EmpowerID platform consolidate all of your Office 365 management tasks, it can also provide a single set of friendly web and mobile interfaces for all of your Cloud and on-premise systems, including Active Directory, LDAP and enterprise applications. All too often the migration to the cloud involves supporting bits and pieces of software that you didn't expect. These road bumps can easily turn into a major headache for your organizations IT team. Migrations to Office 365 require a "user sync tool" out of the box called DirSync or AAD Sync. These extra pieces of software are difficult to manage, configure and maintain with many companies desperately looking for alternatives. The EmpowerID Office 365 Manager allows your organization to take control of all aspects during your migration to Office 365. If you're just starting or have fully cut over to O365 you can now put DirSync out to pasture. Single Sign-On Enable - Allowing employees to continue to login to Outlook, OWA, Lync, and SharePoint using their same corporate Active Directory username and password with Microsoft ADFS. Administration and User Provisioning - Automate provisioning, delegation administration, and de-provisioning all without DirSync or AAD Sync. Access Governance - Audit and periodically re-certify access to Office 365 mailboxes and groups based upon your organizations specific attestation requirements. Audit Logging - Keep track of what's happening in your enviroment. Even have reports emailed to you for review. Role-Based Delegated Admin - Allow seperate business units to manage their users or even seperate companies. Self Service Password Management - Stop the high number of password reset calls to your helpdesk. 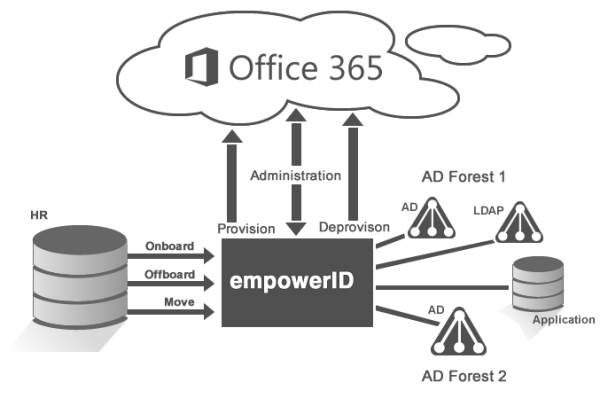 On top of total governance of Office 365 from an on-premise IAG solution you can also manage multiple tenants from a single Active Directory domain or multiple AD domains to a single tenant, something that is available with EmpowerID. Allowing your organization to manage complex Office 365 deployments means you can ensure new domains can be integrated should the need arise. If you're ready to learn more you can watch this previously recorded Office 365 demo or shoot us an email and we'll walk you though your options. Yesterday we announced the release of Office 365 Manager, a new module that enables organizations to extend their existing on-premise security and audit control model to the Microsoft Office 365 and Azure Active Directory Cloud. We have also released a new web site dedicated to information on Office 365 Manager. The new site is located at http://office365.empowerID.com. We are seeing rapid adoption of Office 365 to reduce the cost of IT operations. Office 365, however, is presenting our customers with some security and management challenges because it offers only basic audit controls and a limited ability to delegate administrative tasks. Our new Office 365 Manager provides organizations with the first and only Identity and Access Management solution that applies existing security practices for on-premise Active Directory and Exchange to the management of Office 365 in the Cloud. Office 365 Manager allows organizations to leverage the same secure delegation and flexible administration model that they use for their behind the firewall systems. It addresses a key shortcoming of Office 365 which runs on Azure Active Directory and lacks a hierarchical structure that forces the placement of all users, groups, mailboxes and contacts in a single location. By extending the existing structure of a customer’s on-premise Active Directory, LDAP, or HR system to Office 365, Office 365 Manager can securely delegate responsibilities by role, department, business unit and location. 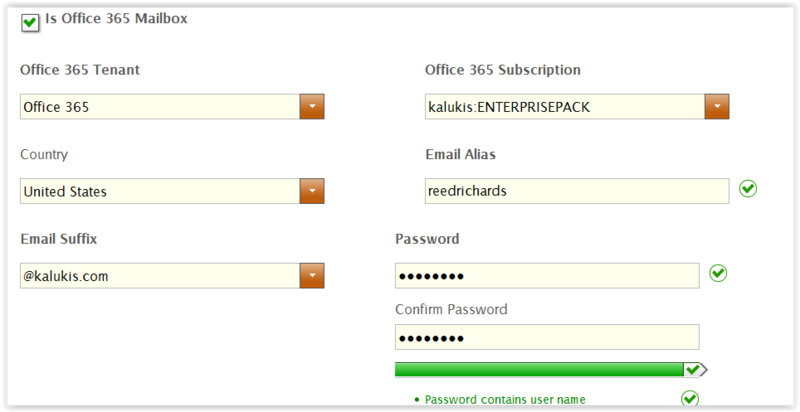 With Office 365 Manager's Single Sign-On capabilities, your internal users can continue to use their existing Active Directory username and password when logging in to Outlook, OWA, Lync, and SharePoint after they have been migrated to the Office 365 cloud. External partners or customers can leverage Social Media logins, your own branded EmpowerID login, or even their remote corporate AD credentials.